Best Computer Freezing Fixer Software, fix PC errors in 3 Steps! Smart Computer Freezing Fixer Pro is an excellent computer error fixer and Windows registry cleaner. Running this tool on a scheduled basis, will result in a stable system and will greatly enhance system performance. Smart Computer Freezing Fixer Pro can make your computer run at perfect performance without any freezing up any more. How to fix a freezing computer? You Need Three Simple Steps! Smart Computer Freezing Fixer Pro is an excellent computer error fixer and Windows registry cleaner. It is an excellent computer error fixer which can speed up your computer and make it run at perfect performance without any freezing up any more. 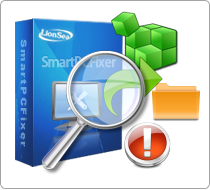 Smart Computer Freezing Fixer Pro is an excellent computer error fixer and Windows registry cleaner. You will get a stable system if you run this program every month. The scan technology helps the user quickly identify errors and invalid entries which are the reasons of freezing or crashing. The product provides a set of tools to repair Windows registry problems, safely and securely. Smart Computer Freezing Fixer Pro can clean your invalid entries totally safely. There is no need to worry about further damage to your computer. If you are not satisfied with the result, there is a function which allows you to restore all changes to the previous state. Anyone whose computer always freezes or crashes can try this program. If you are bothered by blue screen errors or object errors, you can also download this program. It will help you fix it within several minutes. This software supports all Windows versions: Windows 7, Windows 8, Windows Vista, Windows XP and other Windows versions. * Smart Computer Freezing Fixer Pro will fix PC errors in 3 Steps!